Wanted: Cheap Manga has just posted the latest chapter of Shintaro Kago's academic tome on the history of the Soviet Union(?) -- Dance! Kremlin Palace! 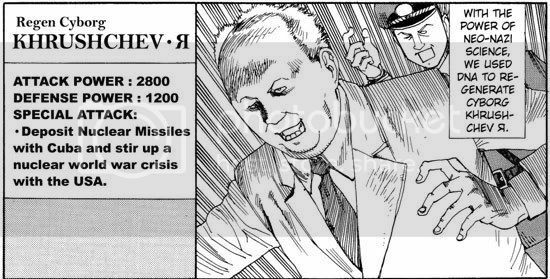 Gorbachev is the main character, lovingly referred to as Gorbie. This chapter is about the concept of Glasnost, which if anyone else went through the American school system, you’re probably as ignorant as I am. Check out this Wikipedia article to get some background (not that it really matters. 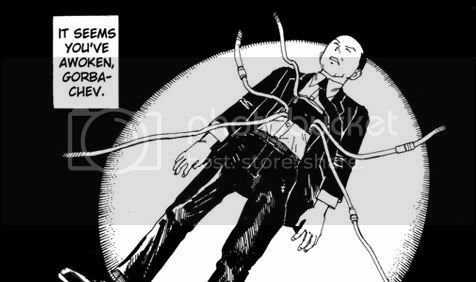 Kago makes Glasnost a super power). Click to download Chapter 4 from Wanted: Cheap Manga! THE FIRST AMERICAN EDITION OF A JAPANESE MANGA! TEZUKA'S MW BEING MADE INTO A MOVIE?